The first ever canonization of a married couple will be conducted by Pope Francis in a ceremony in Saint Peter’s Square on Sunday, October 18. 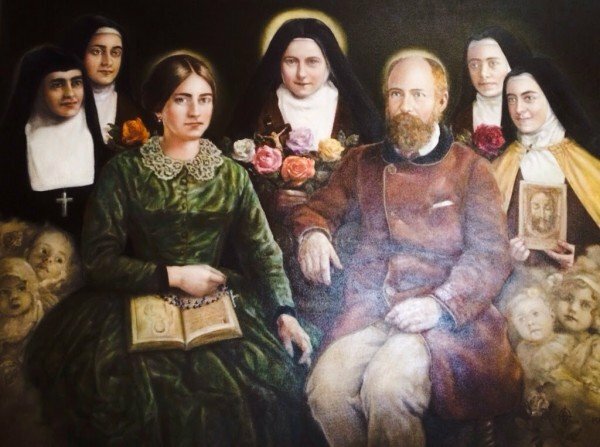 The French couple, Louis and Zelie Martin, who lived in the 19th Century, were the parents of the much venerated Saint Theresa of Lisieux. Louis and Zelie Martin had nine children, four of whom died in infancy. The remaining five, all girls, became nuns. The youngest daughter, Therese, died of tuberculosis aged 24 in 1897 and was canonized in 1925. Theresa of Lisieux is widely venerated for the simplicity of her spiritual life. Her autobiography, The Story of a Soul, has inspired generations of modern Catholics. In July, the Vatican’s Cardinal Angelo Amato, said the canonization gave testimony to the couple’s “extraordinary witness of conjugal and familial spirituality”. It will be one of the highlights of the meeting of cardinals and bishops currently going on at the Vatican. It is focusing on how the church can better minister to modern families, including gay Catholics in same-gender unions, couples who cohabit and those who divorce and remarry.